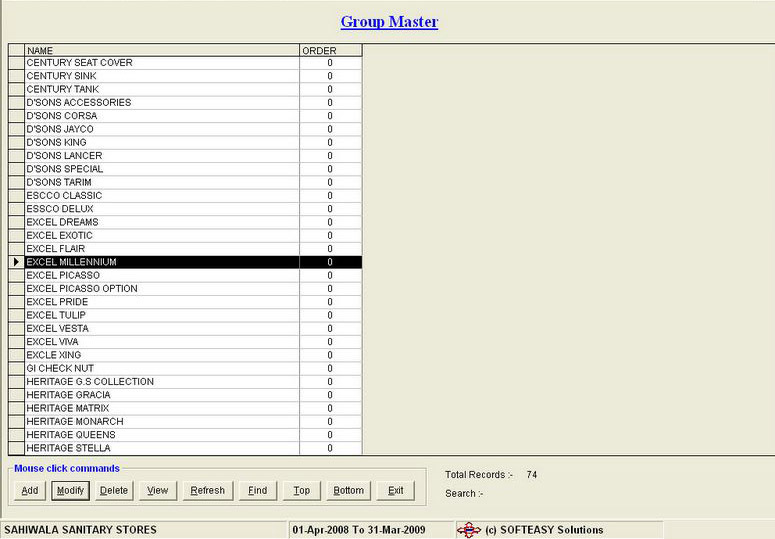 Online Inventory Management Stock Control Software. For Manufacturers, Wholesalers, Pharmaceuticals, Chemists, Malls, Departmental Stores, Individuals Traders & Shop keepers. 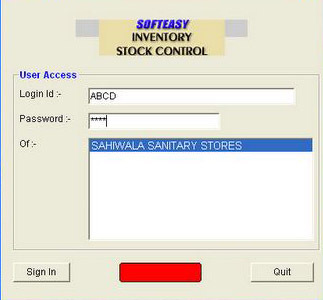 The Inventory Management Software controls your stock of goods in your Stores, Godowns Ware housing etc. 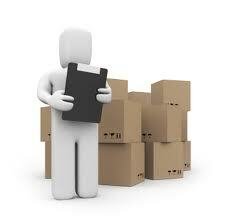 It deals with the flow of stock in the form of inwards and outwards. 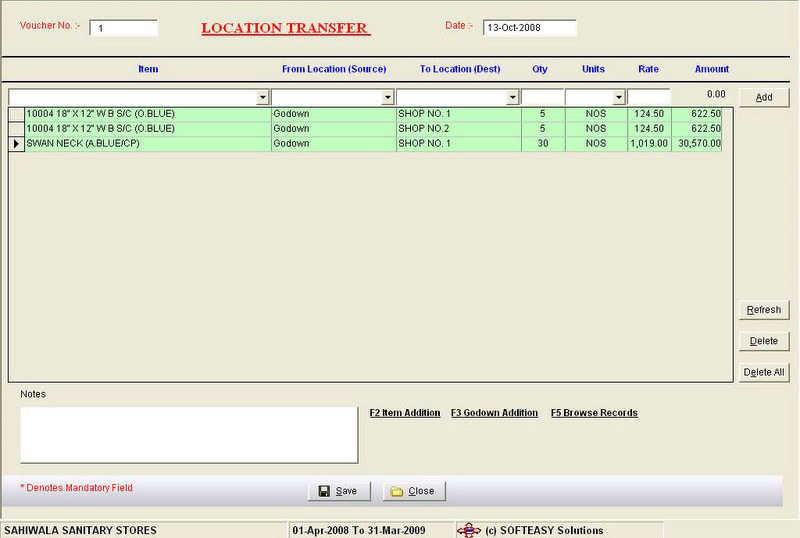 The Bar code Inventory software does not confine only to inward and outward but also internal transfer within an organization like Location transfers and Branch transfers. You can feed inwards and outwards in detailed and bifurcations and specifications of the related items like; if an item has its own Size, Grade, Color, one can feed all. 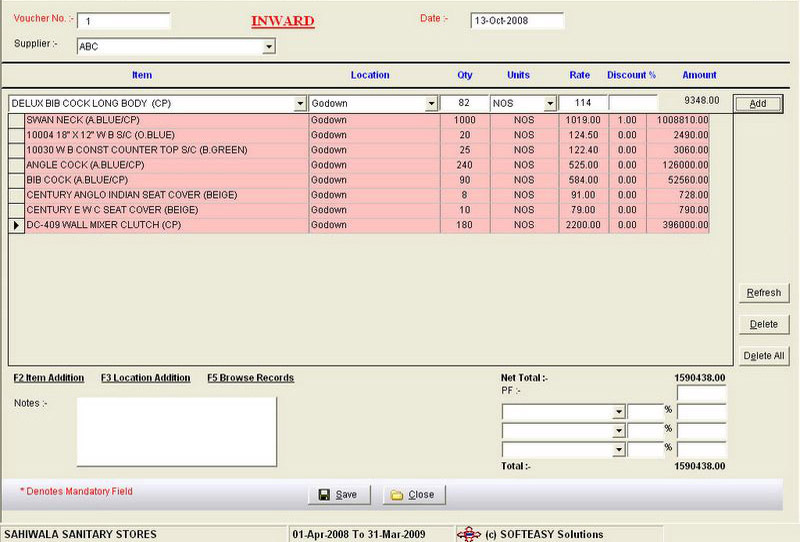 The Online Inventory management software shows an online balance of the stock during the inward and outward entry and that to location wise. 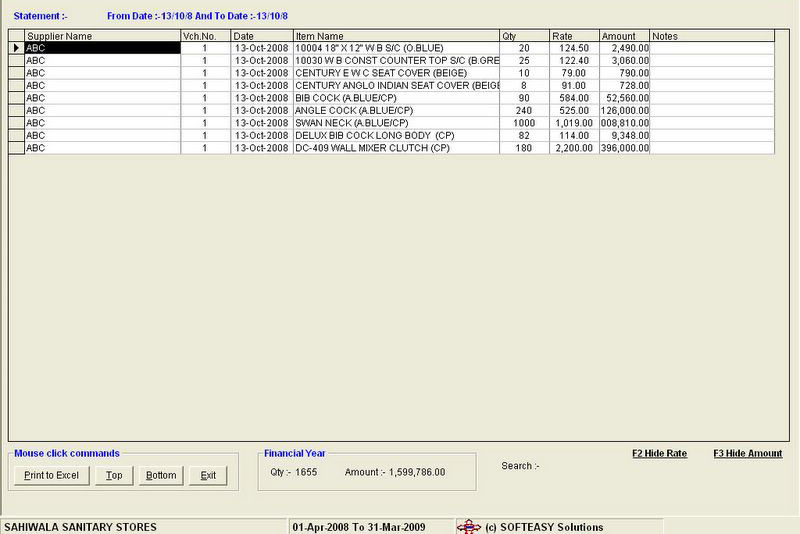 So it means that on the same screen one can get the overall history of that particular item under that entry and one does not have to leave the screen to find out the other details of the stock. 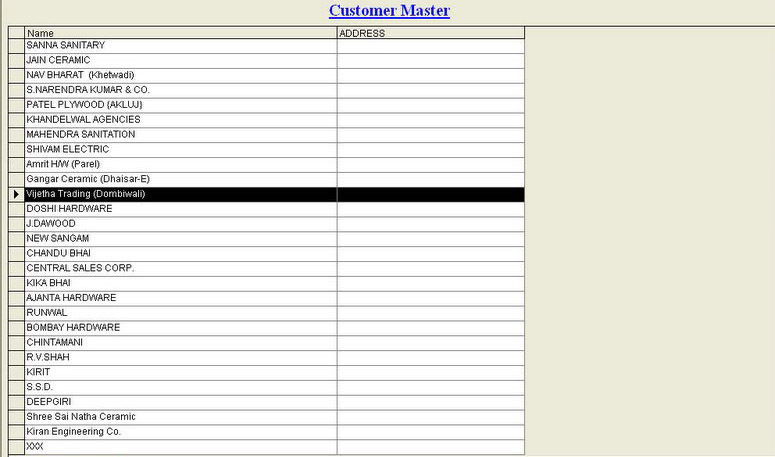 One can create the masters of an item in the voucher entry itself by clicking the short cut keys and the reports of the previous records by pressing the browse button keys. 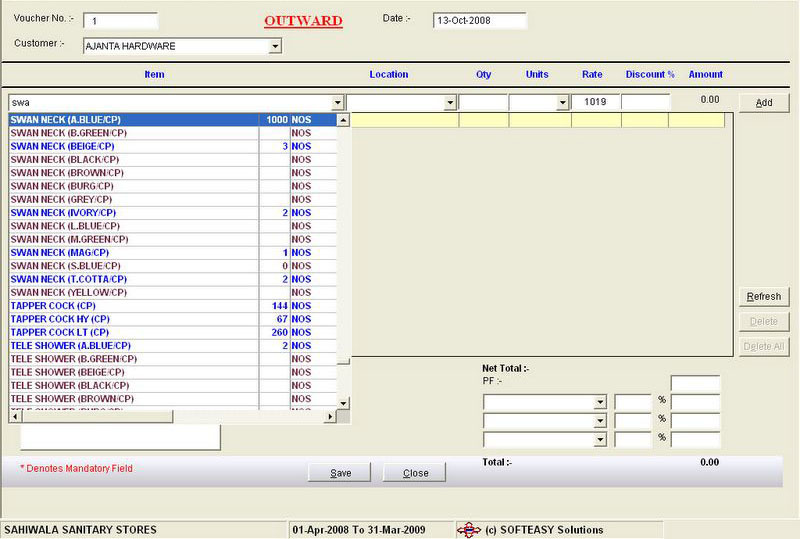 This is a complete automatic inventory software which itself does the calculations of Freight inwards, Delivery charges and VAT Tax. 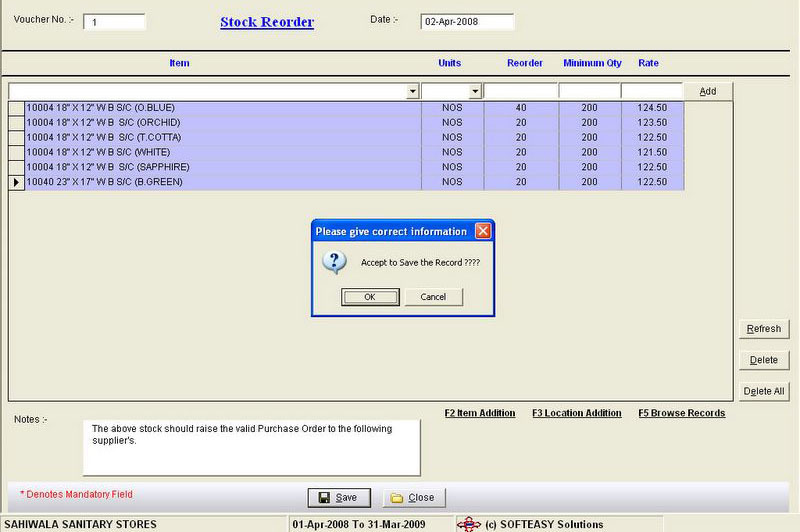 The Reorder level is the unique feature of this software where one can define the reorder level which signifies and reminds on the particular date if that define level goes below to order for the futher stock. 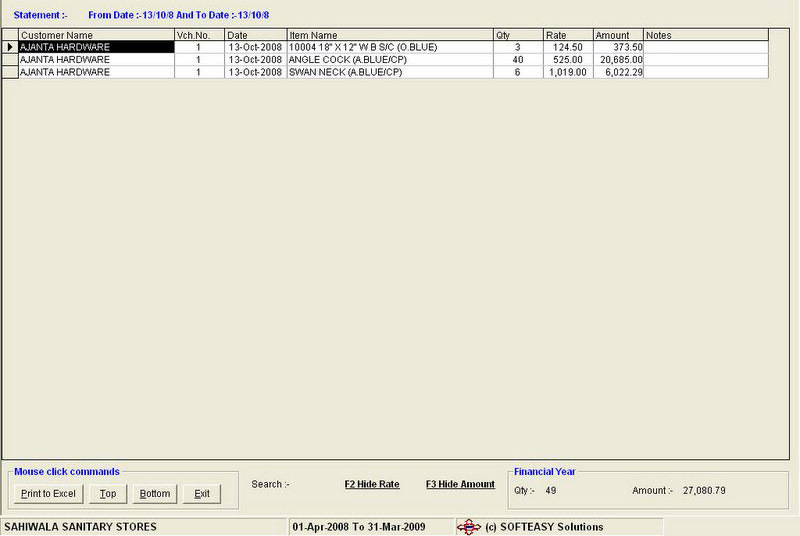 One can get easy reports of any items pertaining to that group, size, color etc for any given period of time. 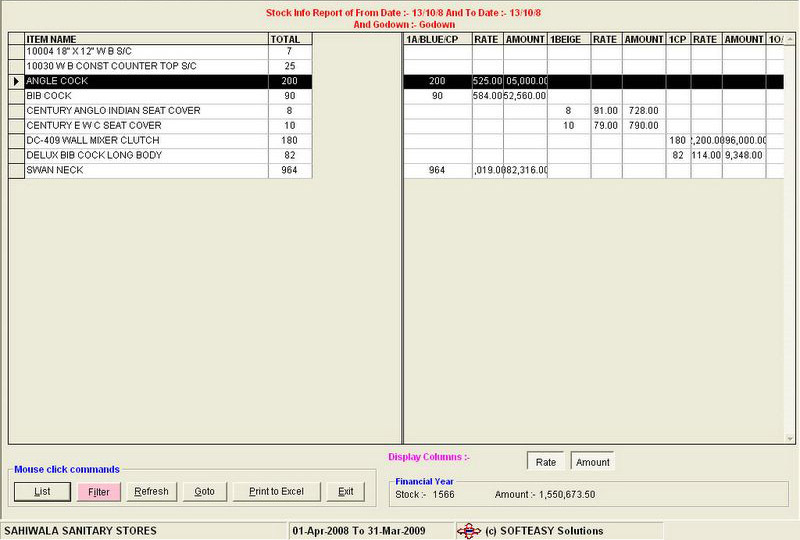 The Inventory Software can also be intensified to show the reports of Sales in the form of sales register and to keep the track of customer and supplier records by showing their outstanding balances through the receipts and payments of bank and cash entries. 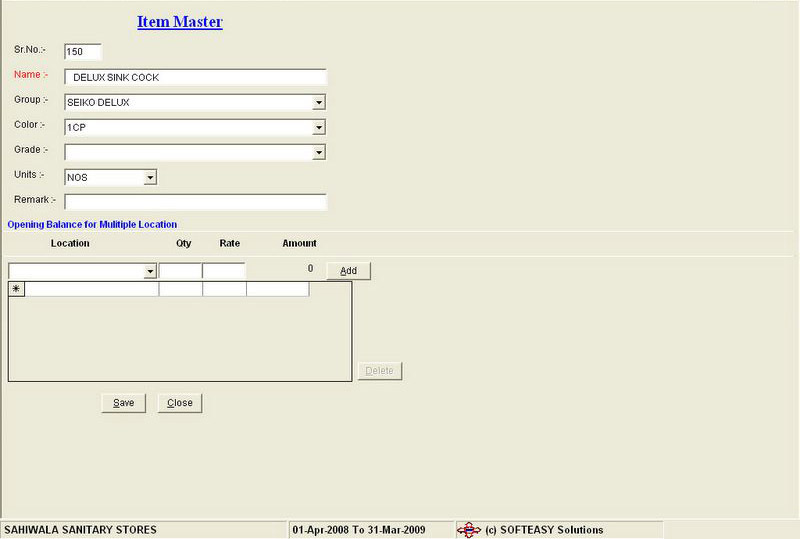 It is a multi purpose software which can be amended and designed as per the customer requirements and needs. 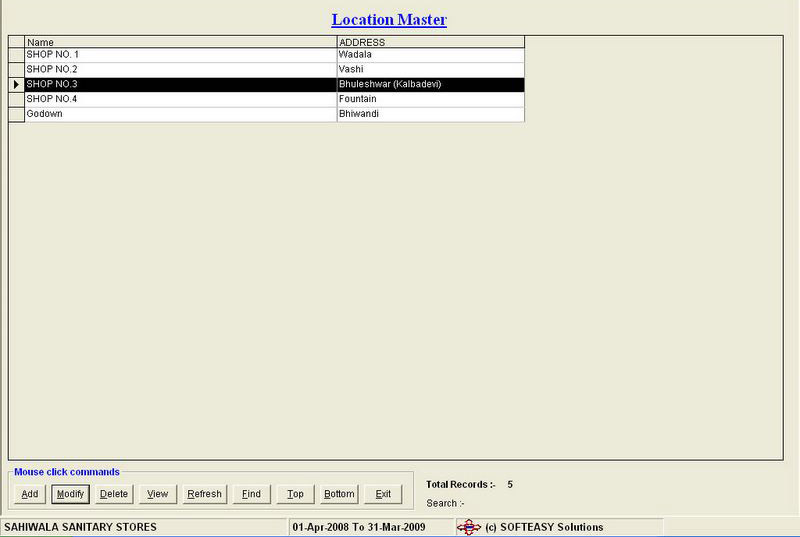 The Software also helps and can go to further extents to embed itself other modules of Manufacturing units. 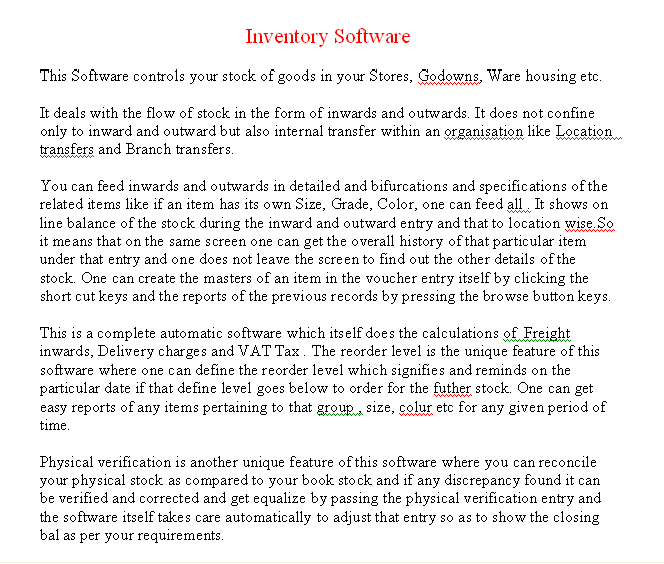 The Inventory Stock management software is readymade inventory software and can become inventory customized software as per clients requirements. 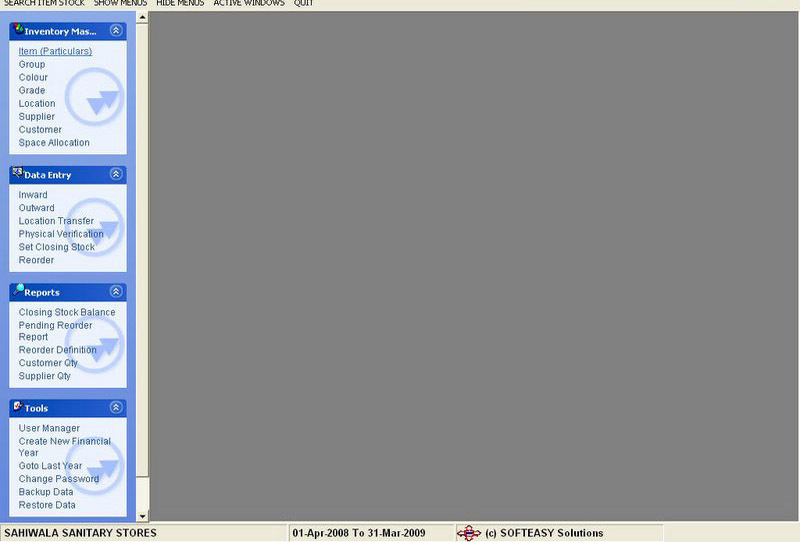 No need of manual intervention for having plus and minus.